Few things prove you've lost your edge like anticipating the arrival of storage bins. But upon receiving the four 27-gallon bins they'd ordered from Amazon, one Orlando couple discovered just how exciting sensible, plastic storage solutions can be: Inside was 65 pounds of marijuana. Which, in case you don't know, is a lot of marijuana. The couple immediately called the police, who seized the stash and began an active investigation into the case. So far, there's no explanation for how this happened. The package had been shipped by Amazon's Warehouse Deals via UPS from a facility in Massachusetts, according to WFTV, a local ABC affiliate. At the beginning of this year, weed's going rate was roughly $1,641 per pound, according to Forbes. That means this was potentially over $100,000 worth of, well, jazz cabbage. As chill as it may sound to come into a lifetime's worth of free pot, this couple found the situation decidedly unchill. "We were still pretty fearful our home would be broken into, and we didn't sleep there for a few days,” the customer who made the order told WFTV. She spoke anonymously out of concern for her and her fiancé's safety. 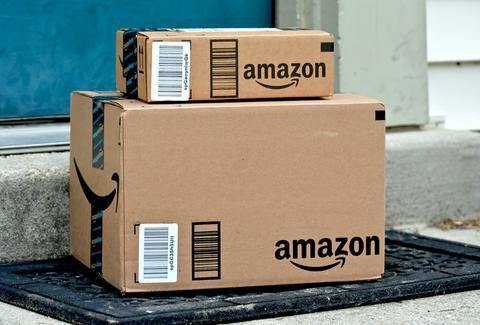 The customer claims she contacted Amazon and corresponded with the company for a month without talking to a supervisor. "There was no concern for the customer's safety," she said. "I mean, this could have turned into a worst-case scenario." Amazon also sent the couple a $150 gift card. James Chrisman is a News Writer at Thrillist who was in no way involved in this incident. Send news tips to news@thrillist.com and follow him on Twitter @james_chrisman2.